You are here: Home / Newsletter / Don’t Forget! 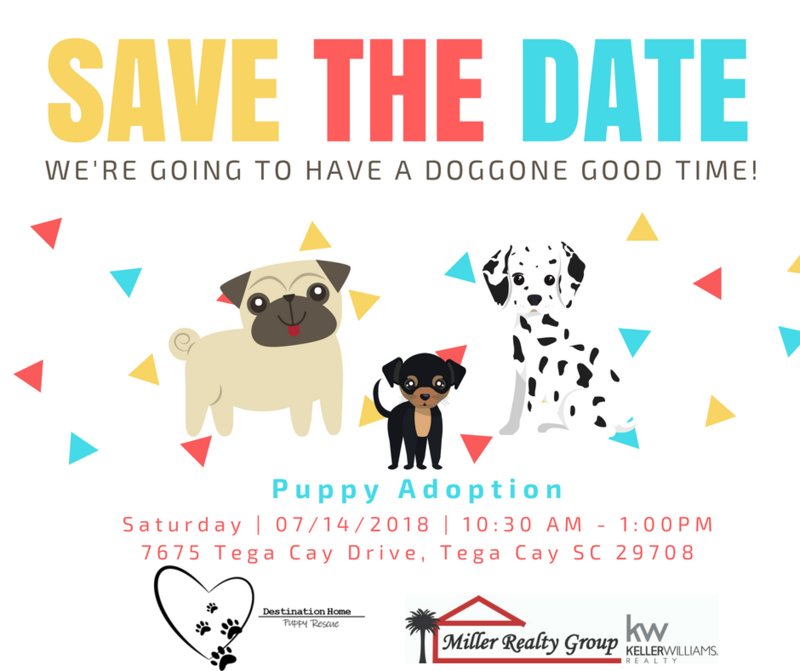 July 14th From 10:30-1:00 We will have PUPPIES! Stop on by our office This Saturday between 10:30 am and 1:00 pm to meet your new best friend! If you’re not quite ready for the commitment of being a pet parent you can still make a difference with donations. We have a wish list below of items that can really benefit this puppy-rescuing dream team. We will also be having a bunch of raffle items and tickets are only $1.00 a piece or $5.00 for six! 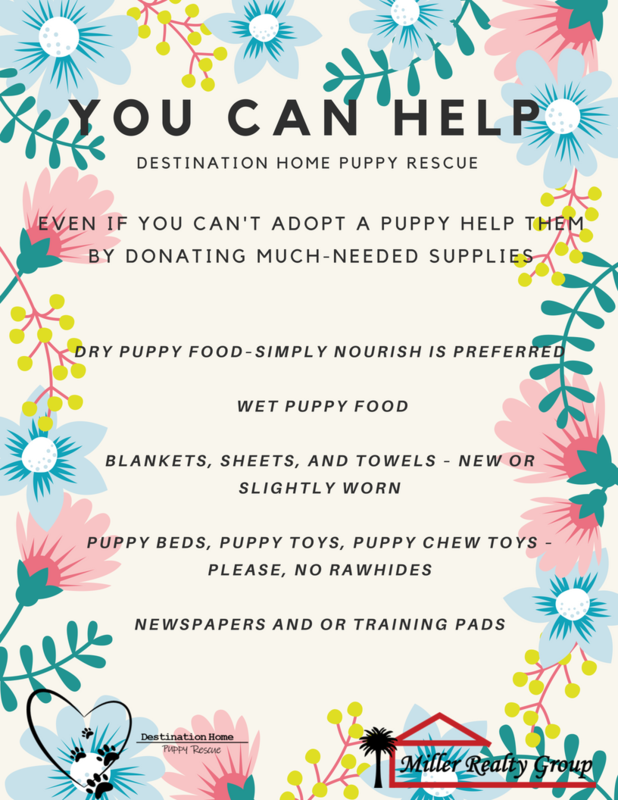 All proceeds go to Destination Home Puppy Rescue and their efforts to rehabilitate, rehome, and repeat time and time again. The Tega Cay Fire Dept has volunteered to bring out a fire truck for the kids and we’ll have drinks and FREE popcorn and other fun giveaways. This is a fantastic event and it is sure to be loads of fun!